Provide as-of-right siting in designated locations for renewable/alternative energy generation, research and development, or manufacturing facilities. Establish a municipal energy use baseline and develop a plan to reduce municipal energy use by twenty percent over five years. Certified Green Communities receive an initial funding award to implement their 20% reduction plans and then have access to grants that can help fund additional energy efficiency projects in the municipality. Since 2011, PVPC has participated in four rounds of technical assistance from the Mass DOER to assist member municipalities to achieve Green Community certification. Our region currently has 26 certified Green Communities with 5 more in the works. PVPC is available to support your community's efforts to participate in the Green Communities Designation and Grant Program. PVPC can help your community become certified, comply with annual reporting requirements, and procure qualified vendors. PVPC can also support your community to compile and submit competitive grant applications through the Green Communities program. There are a number of grants and incentive programs to provide technical assistance and financial support for municipal Green Community initiatives. 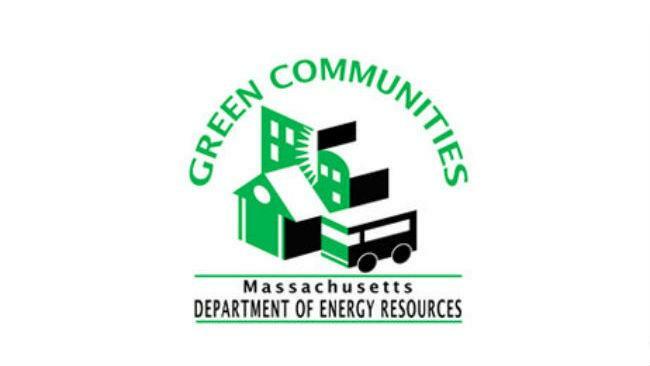 Sign up for email updates from MA DOER’s Green Communities program and the Massachusetts Clean Energy Center, and see DSIRE for a list of energy efficiency incentive programs and policies in Massachusetts. Then reach out to PVPC for assistance in your next Green Communities initiative! See below for a list of certified communities in the region and the total grant awards they have received to date through the Green Communities program.